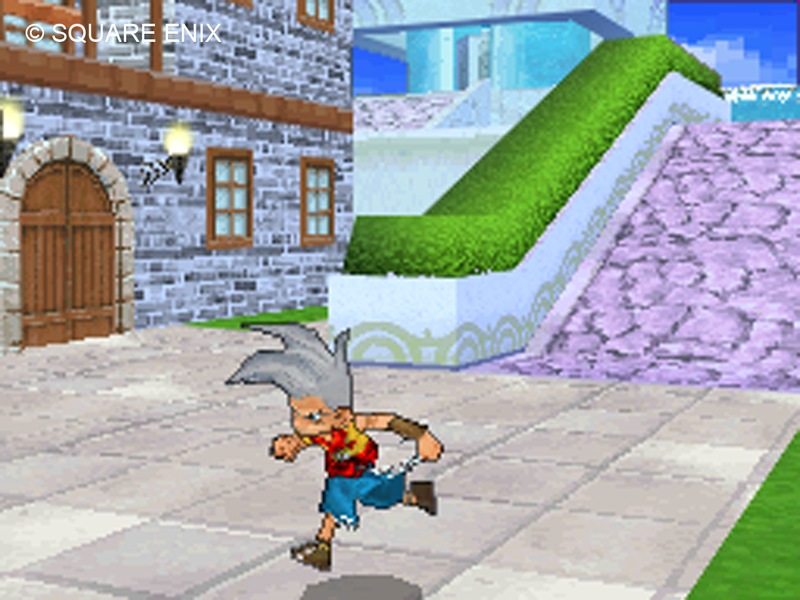 Dragon Quest Monsters: Joker was definitely one of the surprises of E3, for me. I couldn't put the game down, and probably wouldn't have, if someone wouldn't have been in line behind me, getting more and more impatient with my lengthy gameplay session. DQM: J was only vaguely on my radar prior to E3, but now I absolutely intend on being there day 1, to begin collecting Slimes and other cute (and not so cute) Dragon Quest baddies. Joker is probably best described as Pokemon, but in the Dragon Quest universe. And don't underestimate the pull of that universe, either. I've never been super into Dragon Quest, but hearing the battle victory fanfare or the title screen music for the first time in almost a year tugged at the nostalgia heartstrings a little. Not to mention that assembling a small troupe of blue slimes to go to battle for me is much more enjoyable than an army of generic monsters. There's no denying that the franchise has built up an iconic and memorable selection of enemies over the years. And it's truly the enemies that are the star, this time around. That, and the writing (but more on that in a second). 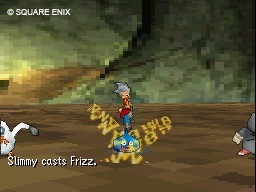 The premise of the game is to collect as many different monster specimens as possible, as part of the "monster scout challenge." Enemies are present in the game world itself, so you get to choose who to engage - no random battles here. In battle you can defeat the enemy as normal, to earn EXP for your team or have your team produce a "show of force," to try and impress the monster to convince it to join up with you. It's here that the other major source of DQM's appeal comes into play, and when combined with the Pokemon-esque "catch 'em all" mentality, makes the game so entertaining. After trying to impress my first slime, the battle ticker let me know that "the Slime is sizing you up." Very cute mental image, given the game's already-cute visuals. This smile-inducing writing is present during story sequences, as well. Early on in the game some captors let you know that you better speak to "ze warden" right away. Another cute touch is naming captured enemies. It's something I always hate in games of this type. Who's creative enough to come up with dozens of good names? But in Joker, the game gives you a little nudge in the right direction. Enemies already begin with a couple letters of their name filled in, which corresponds to the type of enemy it is. My blue slimes, for example, started out with "Sl" already in the name slot. So I ended up with a small slime army made up of Slick, Slim, Slurp, etc. A (very) tiny detail to be sure, but for me, it made even the (normally tedious) task of teammate naming much more entertaining. As your monster party members level-up they'll be able to impress more and more powerful enemies, which will join your party and be able to impress even more powerful monsters, and so on. Addictive! The game isn't perfect - characters and monsters pop-in somewhat suddenly and wrangling the camera was sort of a pain, but I didn't mind. I just wanted to keep playing. Based on my hands-on time so far, I can absolutely see this being my "go to" DS game once its released for weeks - it'll take a long time to impress all those monsters.